Feeling low? These apps have you covered! Today, whatever you need, there is an app for it. If you don’t have time to buy groceries, they are just a click away on your phone. And then if you don’t feel like cooking with the groceries you just ordered, you can order food from another app. There is even an app that can find you a date if you are feeling lonely. In this busy world that we live in, we don’t have time to sit and relax anymore. The stress rate has never been this high. WHO reported, in 2018 approximately 300 million people are suffering from depression worldwide. 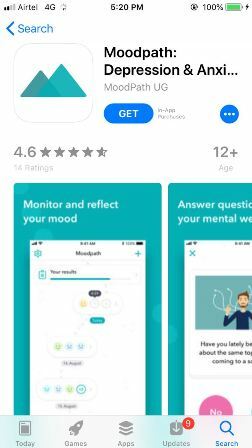 MH brings you a list of 5 apps that will help you with stress and anxiety using meditation, nature sounds, hypnotism and various other methods. These apps can be used while travelling, before sleeping or at any other time of the day. With a rating of 4.6 out of 5, this app has been awarded as the ‘2017 App of the year‘ by Apple and the ‘Happiest App in the World’ by Human Tech. Calm is the perfect window app if you are new to meditation. 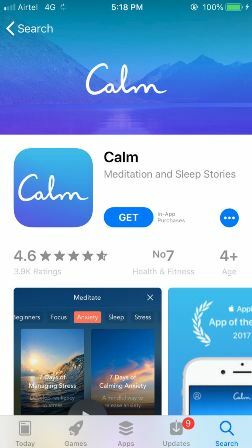 Calm helps with anxiety and tries to provide its users with better sleep with the help of sleep stories, guided meditation, relaxing music and breathing programmes. The sessions are scattered over 3 to 25 minutes so that the user can pick a session according to their own convenience. 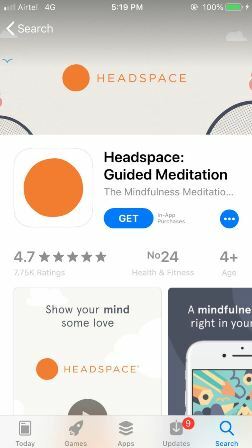 This app has a rating of 4.7 out of 5 and uses meditation to calm the nerves down. By creating ideal conditions, it also helps users to sleep better and relax with its guided meditation techniques and exercises. It keeps a track of the users’ moods and has exercises for all age groups including kids. The app also provides a mindfulness coach who helps winding down at the end of the day by the means of exercises such as creative writing. Talkspace was launched in 2012 and is one of a kind app. 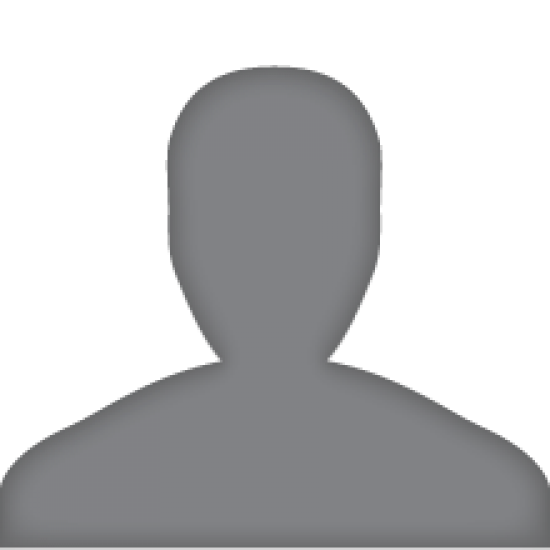 This app provides its users with affordable, convenient and discreet therapies on the spot. 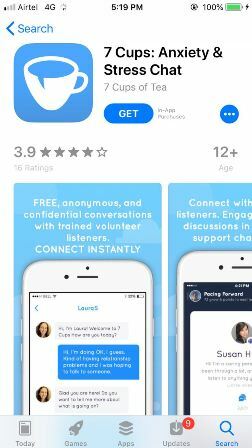 It allows you to overcome anxiety, depression and stress by connecting to a licensed therapist on your phone, via chat, audio as well as its video options. This app also caters to couples that require couples therapy to get rid of any tensions or to bring back the spark in their relationship. Winner of the ‘Stanford Medicine X’ prize for healthcare systems designs, 7 Cups allows you to have confidential text chats with a trained active listener at any time of the day. Additionally, he app provides mindful exercises to calm the nerves and boost your mood. They also have a test to track mood fluctuations. Moodpath is another interactive depression and anxiety overcoming app. 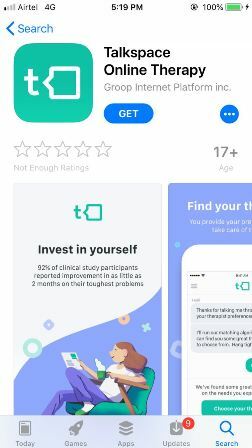 This app keeps a track of your depression and mental health over a course of 14 days and helps to track down the reasons behind the stress and anxiety. They also make you fill a questionnaire about your moods which is then assessed by a physician or a therapist and a psychological assessment is provided on the basis of that. This app also makes you fill a mood journal for self-assessment.